WELCOME TO HAZEL O'CONNOR FAN SITE "WILL YOU"
Hazel shot to fame in the role of Kate in the cult film Breaking Glass. The first female in history to act the lead role as well as writing and performing a films soundtrack. With the planetary hit singles and albums that followed, this multi-faceted artist proved to be a rare diamond that rose like a phoenix from the shards of quartz. Her career has had highs as there have been lows, but with numerous acting roles and an extensive discography firmly under her brown karate belt, she has hung in there with a beautiful perseverance to prove, time after time, that she is a true survivor. Always on the move and constantly pushing boundaries, her true home is the stage. Equally at ease whether singing to thousands with the full-blown rock sound, up close and personal with intimate acoustic concerts, or jazzing it up in her latest musical combo, she always performs with gusto and delivers a perfect cocktail of sensibility and emotion that touches the soul. For gigs details, check Live page! "See You Again" is Hazels twentieth album and the fourth to emerge from the legendary singer/song-writers ongoing collaboration with irish harpist Cormac De Barra. Their musical partnership began over 20 years ago when they toured Hazel's critically acclaimed "Beyond Breaking Glass" auto biographical show. The show toured worldwide and went to the Edinburgh Festival for three seasons gaining five star reviews each time. Following Hazel and Cormac's recent "Up Close and Personnal" tour in Ireland this year, it became obvious that there was a demand from the public to record more material. Indeed there were many songs, although they had become staples of their live performances, they had never appeared on any official recording. The duo decided that they must harness the momentum of the live shows and off the back end of the tour went straight into the recording studio to capture the energy of their unique sound. In Hazels own words, "The reaction from our latest tour was amazing and we had to get that sound. Stripped back, naked, embracing the beauty of the voices and the harp, keeping it simple and reflecting what we do in the shows. I'm very pleased with the album which is now in post-production by Lynne Earls who has worked with KD Lang and Billy Idol among many others. There are 11 tracks, an eclectic mix of songs - some that we have revisited, some never recorded and the new. I look forward to its release and hearing what people think." "Many thanks to Moya Brennan, beautiful singer from Clannad who lent us her recording studio and her amazing voice to sing on the duet "Hidden" which we have revisited. Also to her fab and gifted husband Tim Jarvis who has done a gorgeous cover design plus played cello for us. Ailing Jarvis, their highly talented daughter, has engineered and mixed the album." "The release date is 26th January 2017, the day of our gig as part of Dublin's Temple Bar TradFest." The third album to emerge from the legendary Hazel O'Connor's ongoing collaboration with jazz saxophonist Clare Hirst (The Belle Stars, Communards, David Bowie) and pianist Sarah Fisher (Eurythmics, Sax In The City). The highlights include their highly emotive all new co-written songs, "Still of The Night", "Going Home", "Don"t You Call Me Darling" and "I Call Out Your Name"; original story-telling songs poignant with longing, loss, regret and unrequited love and delivered with unswerving resonance by one of the most distinctive song-stylists of theatrical pop. Hazel O'Connor's unmistakable voice in unison with dextrous double bass and pounding percussion leads to some unusual grooves and new slants on their adventurous covers of the perennial classics "Perfect Day" (Lou Reed), "Good Morning Heartache" (Billie Holiday) and "Ne Me Quitte Pas" (Jacques Brel). "Here She Comes" is a bold statement of intent and a return to form for Hazel O"Connor, redolent as it is with influences as diverse as Tom Waits, Billie Holiday, Lou Reed and French chanson. The tight vocal harmonies and musical interplay result from the trio having spent the last five years touring, performing many sell-out UK and European dates, performances that continue throughout 2014. With flourishes of saxophony that recall Hazel O"Connor"s "Breaking Glass" glory days - "Here She Comes” is a worthy and eclectic mix of songs that sees the trio making further strides in the development of their very own signature sound, a sound defiantly described as thus by Hazel; "this ain't no girlie power thing this is woman power! 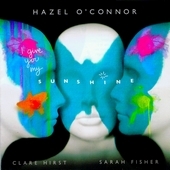 Hazel O'Connor opus with Clare Hirst and Sarah Fisher. proceeds will go to the Myton Hospice and Help The Hospices. who received respite care in Myton hospice. 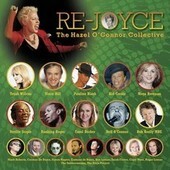 Check the The Hazel O'Connor Collective Re-Joyce charity single page. The Subterraneans song "(WORLD STOPS) Spinning Without You". 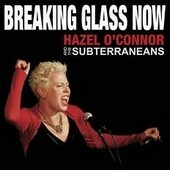 Check the Hazel O'Connor And The Subterraneans page. details the highs and lows of a career that had her catapulted to stardom. Check the Beyond the Breaking Glass with Cormac De Barra page. in a captivating, intimate performance. Check the Up Close And Personal with Cormac & Ruairí De Barra page. and aimed to raise awareness of the ethical treatment of animals. HAZEL O'CONNOR AUTOBIOGRAPHY OUT NOW! 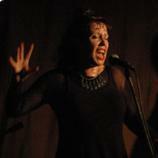 02 OCT - THE LEEDS GUIDE Paul SULLIVAN - HAZEL O'CONNOR GREATEST HITS! FIRST DATE OF THE AUTUMN TOUR "GREATEST HITS INCLUDING BREAKING GLASS LIVE!" INCLUDING 21 DATES, DON'T MISS IT! NEW BREAKING GLASS CHINESE & SWEDISH VHS SLEEVES ADDED! NEW GIG ANNOUNCED: Birmingham, Bristol, York, Manchester, Brighton, Brecon, Leeds and Paris! WICKLOW NEWS - "Hazel O'Connor in Conary this Saturday"
MAR 22 2012 NEWS PAGE SUPPORTING MYTON HOSPICE WITH HAZEL! TWO NEW SUPPORTING ACTIONS. - A wonderful collection of fellow Hazel-nuts is on eBay now, this is to raise money for Myton Hospice. - Another supporting action named the "fear of Flying" skydive for Myton. Check NEWS PAGE and give your support! WATCH HAZEL INTERVIEW BY PHIL MARRIOTT ON GAYDAR RADIO - 04TH MARCH 2012 AND LIVE INTERPRETATION OF 4 SONGS: Will you, Feeling Good, I Would Rather (Wonderwoman) and Cinderella Moment. WIN A PAIR OF TICKETS TO THE NEW NUTS IN MAY FESTIVAL TO SEE HAZEL O'CONNOR. COVENTRY TELEGRAPH Marion MCMULLEN - "Hazel O'Connor performs at Blue Bistro to raise money for Myton Hospice"
- New promotional video for the "I Give You My Sunshine" Tour 2012 Hazel O'Connor with Clare Hirst & Sarah Fisher. - New gig Hazel O'Connor with Clare Hirst & Sarah Fisher at Highbarn! - Watch Hazel O'Connor in AN AUDIENCE WITH DAME EDNA EVERAGE in Dec 1980! - Hazel O'Connor played in Sleeping Beauty in 2006! - Hazel O'Connor appeared in THE PODGE AND RODGE SHOW in 2006! - Hazel O'Connor with Clare Hirst & Sarah Fisher new gig dates annouced for 2012! - Hazel O'Connor Greatest Hits! new gig dates annouced for 2012! "Three more Coventry stars set to join the city's new music wall of fame"
"From Breaking Glass to breaking barriers with fusion of blues and jazz"
NOV 22 2011 New Hazel BW photo added for the "FIGHTING BACK" BBC1 serie 1986. Available online on BBC 2! - Tracklist & artwork for the new album named "I give you my sunshine"
JUL 18 2011 NEW MEMORABILIA POST ABOUT SMASH HITS POSTERS 1981. JUL 06 2011 New photos of Hazel on stage added for "NIGHTSHOOT" play. JUN 25 2011 NEW MEMORABILIA POST ABOUT "FIGHTING BACK" BBC1 SERIE IN 1986. JUN 21 2011 TICKETS FOR THE NEXT HAZEL O'CONNOR & BLUJA TOUR ARE ON SALE NOW. MORE DATES TO FOLLOW... STAY TUNED. JUN 08 2011 MARTIN RUSHENT DIED ON JUNE 4 AGED 62. Martin Rushent was a very close friend of Hazel. He produced the Hazel's albums HIDDEN HEART in 2005 and SMILE in 1984. JUN 03 2011 New photo of Hazel on stage added for "THE CUCHULAIN CYCLE" play. New flyer added for the "BEYOND THE BREAKING GLASS" 1999 Tour. MAY 18 2011 New article added from BOSTON STANDARD. MAY 17 2011 "Learn more about the Myton Hospices, what we do and how you can help, by watching our short film." MAY 02 2011 New records added to Discography page. This page has been re-designed. APR 27 2011 New MEMORABILIA section added hereafter. On a regular basis, this section will change focusing on interesting snipets from Hazel's amazing career. APR 03 2011 3 new videos from ASTOR THEATRE DEAL 2nd April 2011 Blondes On Fire Tour. APR 03 2011 New articles from THE WESTCOUNTRY and VIEW ONLINE. APR 02 2011 "BARDO" the new album from HAZEL O'CONNOR AND THE BLUJA PROJECT. MAR 12 2011 Hazel O'Connor joined Moya Brennan on stage in IRELAND. The event was named "Moya Brennan and Friends" Live at the Pavilion Theatre, Dun Laoghaire, Co Dublin. "Pop-icon Hazel O'Connor brings stunning new show to Ludlow"
MAR 10 2011 Hazel, Clare and Sarah are finishing the recording of their second album. FEB 14 2011 Press page updated and redesigned. Latest article from THE FORESTER: Blonde ambition remains top priority for Hazel nuts. JAN 06 2011 New page created: Coventry Walk Of Fame - Hazel O'Connor plaque unveiled! DEC 22 2010 New UK tour for Hazel O'Connor And The Bluja Project in March/April/May 2011. DEC 12 2010 Added new links for The Hazel O'Connor Collective Re-Joyce pages. NOV 28 2010 New photo gallery added, Hazel O'Connor Collective Xmas single launch party "Re-Joyce"
NOV 22 2010 Hazel gave to Justin Dealey a lovely interview on Sunday 21 November 2010 about her career and tour. OCT 18 2010 HAZEL O'CONNOR MYTON HOSPICE CHARITY NIGHT! TICKETS FOR THIS FANTASTIC CAUSE AND EVENT ARE NOW ON SALE ON THE SUBTERRANEANS WEB PAGE! Hazel O'Connor or her management and agents have no responsabilty for the informations contained on this Personal Website. and not to be used for any other purposes without the permission of the original copyrights owners.